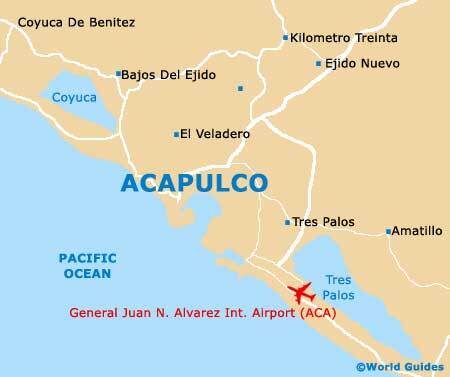 Acapulco is a particularly beautiful coastal resort and visitors will be able to enjoy a relaxed life style during their stay. The reliable sunny weather is Acapulco means that this is the perfect spot to enjoy a range of coastal activities. 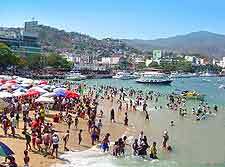 The main tourist offices in Acapulco are operated by the local government and dispense an array of visitors information. Tourist offices are also good places to purchase tickets for various attractions. 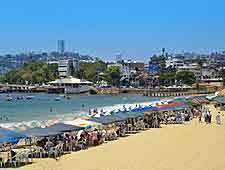 Tickets for both buses and planes can also be purchased at Acapulco's Procuraduria del Turista are considerably cheaper than the city's many travel agencies. This outlet is also a good place to exchange currency completely free of charge. 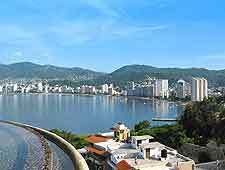 The following tourist offices are all located within Acapulco's Centro de Convenciones and offer a range of tourist information, tips and general assistance to all nationalities. 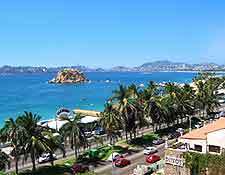 When in Acapulco you will find that almost all of the locals speak Mexican Spanish. It really is quite easy to learn basic Spanish and it is extremely courteous to know even just a few words or phrases in Spanish. Acapulco locals will respond in a much more positive way if you are attempting to speak their own language, although some can communicate well in English. Some useful Spanish phrases are shown below to start you off. What is the fare to...? - cuánto cuesta hasta...? Does anyone here speak English? - hay alguien que hable inglés? What is your name? - cómo se llama usted? How are things? - qué tal?